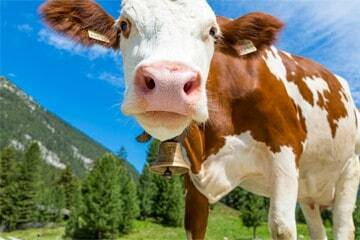 Author’s Note: I just have one word about this chapter: cows. Elizabeth assured Georgianna that she knew the servants would be perfectly amiable. She was surely not going to bring up the real reason for her nerves. That would be the most awkward conversation ever and she was not partaking in it. Dinner was perfectly amiable though there was an awkwardness on her part and Mr. Darcy was not only silent but uncomfortable as well. Oh how she wished she had never mentioned what bothered her. The easy companionship they had once had was gone. How she wished that his sister was not there to experience it. Even thinking of what Georgianna would ask her when hopefully everything went back to normal tomorrow, had Elizabeth looking down at her plate with flushed cheeks. It was amazing that such a simple thing as a wedding night would cause such awkwardness and uncomfortableness. She could not wait to get it over with. “I understand. Thank you so much for shopping with me. I had terrific fun with you.” Elizabeth smiled. Georgianna surprised her with a quick hug before she rushed upstairs to her bedchamber. Elizabeth followed at a slower pace determined to stay calm. She tried to pretend that this was just any other day and she was going to take a nice relaxing bath. However, when she saw the servants start pouring water into the tub, she could not help but sit down and clench her hands. This was ridiculous. People did this all the time. There was nothing for her to be scared of. However, she did wish that her mother had given her a bit more instruction. The only information Mrs. Bennet had told her, was to just lie there and think of all the pretty jewels and dresses she will have. Elizabeth did not understand what was to happen then and she did not now. Soon the bath was ready and there was nothing for her to do but to proceed one step closer to her wedding night. Elizabeth got in the bath, put in a few drops of scented rose oil and proceeded to wash herself. She could not deny that she was glad Mr. Darcy had such resources. It was not jewels and ball gowns that interested her but servants and luxuries to make life nicer and easier. She finished her bath and realized she did not know what garment to wear. Should she put on her nightgown? Was there something else she should wear? If only she had someone to ask these questions! Jane was in Netherfield plus she was undergoing the exact same situation. Did Mr. Bingley give Jane the first night off or had she already gone through this? If only she was not so far away, Elizabeth could have gone to her room and asked her what to expect and what to wear. She put her nightgown on then sat back down to brush her hair. Until she knew differently, she would treat this as any other night. She counted the strokes of her hair while drying in front of the fireplace. Much too quickly that was done and she had nothing else to do other than to get in bed. She could not just sit up and wait for Mr. Darcy to appear. Oh how she wished she had gotten more instruction or even knew the slightest about what to expect so that she could have asked intelligent questions of her mother. Elizabeth got out of bed, grabbed book she had been reading and then got back in bed. She would not be able to sleep so she was not even going to pretend to try. Elizabeth fiddled with the pages. She realized she had been reading the same paragraph over and over. There was a knock on the door that led to Mr. Darcy’s bedchamber. Even though she had expected something, her nerves were such that she gasped and the book flew up out of her hands. She put the book on the night table and called out for Mr. Darcy to enter while she patted her hair. At the sight of Mr. Darcy walking into her bedchamber, the first time a man other than a doctor or her papa had done so, Elizabeth quickly pulled the sheets up to her shoulders. So much for her resolve to be calm! “I hope I find you well.” Mr. Darcy closed his eyes and rubbed a hand over his face. Elizabeth smiled and looked down at her lap. She was glad that she was not the only one nervous. Mr. Darcy was wearing a robe over his nightclothes. He pulled off his robe and laid it over the back of a chair. That left him in his nightshirt and pants. He walked over to the other side of her bed and climbed in. He wasn’t touching her but he was close enough she could feel his heat and hear him breathe. Mr. Darcy cleared his throat. “I have misspoke. I do not want to think of your mother while in our marriage bed.” Elizabeth’s giggles stopped completely. She wanted to bury her head under the covers forever. “I again must apologize.” She felt movement on Darcy’s side of the bed. Elizabeth knew he had to be just as mortified as she was regarding this very uncomfortable conversation. “This was not how this was supposed to go.” Elizabeth did not say anything. The silence stretched on and she decided she would have to let Mr. Darcy know what she knew. It seemed important somehow to the process. At least that is what she decided from Mr. Darcy’s attempt at conversation. “My mother did let me know of the wedding night. She told me that my husband would know what to do and that I should lie there and think of all the pretty jewels and gowns I could buy.” Elizabeth heard what sounded like a strangled choke from Mr. Darcy’s side of the bed. She rolled over in haste. “Are you okay? Are you choking?” Her hand lay upon Mr. Darcy’s chest which was scandalous to her even though she was married to him. This was the first touch of him when they were not in their day clothes. She could feel his body heat through his nightshirt and the pounding of his heart. “No Elizabeth, I am not choking. I am perfectly fine.” There was silence again. Should she push the issue and ask if something was wrong? Or should she let it go? However telling Elizabeth to ignore something was tantamount to telling her to full bore finding out everything she could. She was as curious as a cat. “Did I say something wrong? I apologize if I have offended you in some way. It was not my intention-” she could feel Mr. Darcy shaking his head. “No Elizabeth, none of this is your fault or your concern. You have done nothing wrong at all, whatsoever. You are completely perfect in every way. I was just surprised by the instructions your mother gave you.” Again the last few words were uttered as if Mr. Darcy was holding back emotion. “Her instructions were not accurate then? There is indeed more that I need to know? I have seen animals in the countryside. I know the bull mounts the heifer and it is over rather quickly.” Again a choking noise came from Mr. Darcy. Underneath her hand, he felt like he was trying to control laughter or suffering apoplexy. Mr. Darcy rolled over and fumbled a bit before his hand rested on Elizabeth’s cheek. “You have done nothing wrong, Elizabeth. Truly. Even though you have no knowledge, I am very glad of that fact. It will be up to me to guide you through this. And I treasure that as your husband.” Elizabeth sighed. She was relieved she had not said something wrong or done something foolish. “I am relieved to hear that, Fitzwilliam. If you could instruct me then as to where I should be. I know truly nothing.” She knew she was blushing as her cheeks were hot, but she was also quite proud of herself for getting through this awkward conversation without hiding under the covers. Mr. Darcy cleared his throat again. “First, we need to acquaint ourselves with each other. Run our hands over each other. This would best be done without our night clothes on. However, if you are too embarrassed…” Mr. Darcy trailed off, moved his hand over Elizabeth’s face, her hair, her ear and then down her neck. Elizabeth was horrified that she had ruined whatever was supposed to happen. Or that she had hurt Mr. Darcy in some way. Mr. Darcy was surely hurt or possibly having a seizure. She started to roll over to ring for help when Mr. Darcy’s choking turned into full out laughter. “Truly Elizabeth, I love your mind!” Mr. Darcy continued to laugh having rolled on his back. “I apologize again Elizabeth, I am not laughing at you just-” Mr. Darcy could not continue speaking for laughter had overcome him again. 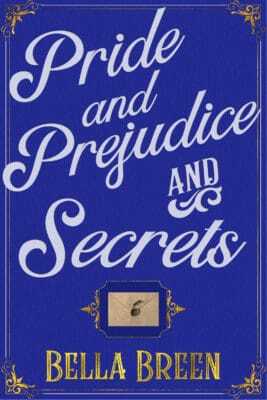 Eventually, Mr. Darcy’s laughter died down and he coaxed Elizabeth out from under the covers where she had been hiding. Mr. Darcy was able to instruct her to a satisfactory ending, which caused Elizabeth to utter “oh, that is nothing like the cows” which caused another round of laughter from Mr. Darcy. Author’s note: I loved writing this chapter so much! I was giggling through most of it.